Each class builds on the week before, much like a workshop. 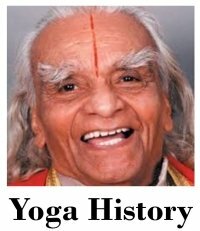 George Purvis has studied with BKS Iyengar in India, and is the first certified Iyengar Yoga Instructor in Texas (1984). He has conducted classes and workshops throughout North America. His teaching style is relaxed, down to earth and accessible. His gentle manner and sense of humor encourage students of all ages and abilities to achieve their best in a spirit of mutual support, and to enjoy the journey as much as the result. We all had a great time with Dean Lerner during his workshop in Dallas Feb 2018. 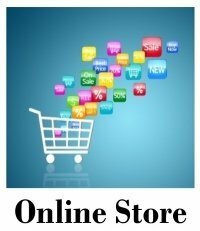 Check back for information on future workshops. The class offers a chance for moms to connect with other new moms, too. You’ll find a warm, supportive community — essential during the postpartum period!Who it’s for: Mamas who are feeling fine at 6 weeks postpartum. Mamas who had a Cesarean-section should wait a little longer—8 to 10 weeks; check with your doctor or midwife. Bebes can begin any time, and tend to enjoy the class until they are crawling. We can address age - depending on your child.Other info: You are welcome to feed baby (by breast or bottle) any time during class in the studio, and to change baby’s diaper any time, too. In fact, this class helps baby work up an appetite, make impressive diapers, and sleep, sleep, sleep! Please bring a blanket for baby to lie atop. Hisako Hanson is a meditation instructor with 300 hours meditation teacher training and provide guided meditation using different styles of meditation (Yoga Nidra, breathing, insight meditation, mindfulness, Dzogchen, Zen, Tonglen, OM meditation, Mantra, Yoga, Metta, Mala, etc.) Using my background of being raised in Japan, I embrace the eastern culture (especially Zen philosophy) and focus on prevention through self-care and good habits mentally and physically. I have been teaching Yoga and Pilates for 20 years. 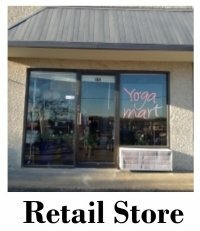 Yoga Mart uses Mind Body Software for class sign up. Need a party idea? 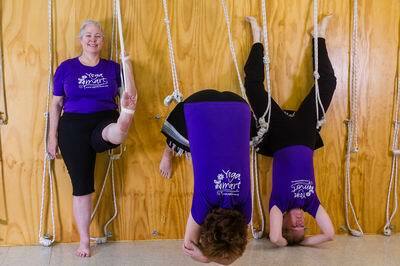 How about a yoga Bachelorette party? 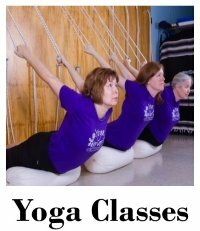 Beginner Series- for those people with little or no yoga experience and those returning to yoga practice after an absence. The series begins at the beginning and methodically builds through a series of poses to give a foundation of poses that one will be able to build on for years. Emphasis on standing poses, forward bends and shoulder stand. The 60 basic poses taught in a more in-depth fashion. A perfect class for those that are interested in learning the movement of the joints and muscles and how the the basic poses effect the nervous system. Level 1- Building on the poses learned in the beginner series with the addition of simple back bends, revolved standing poses, shoulder stand variations, headstand and twists. Wall ropes used in most classes at Yoga Mart. Level 2- Refining the poses from Level I with the addition of headstand variations, intermediate back bends, Padmasana and hand balances. 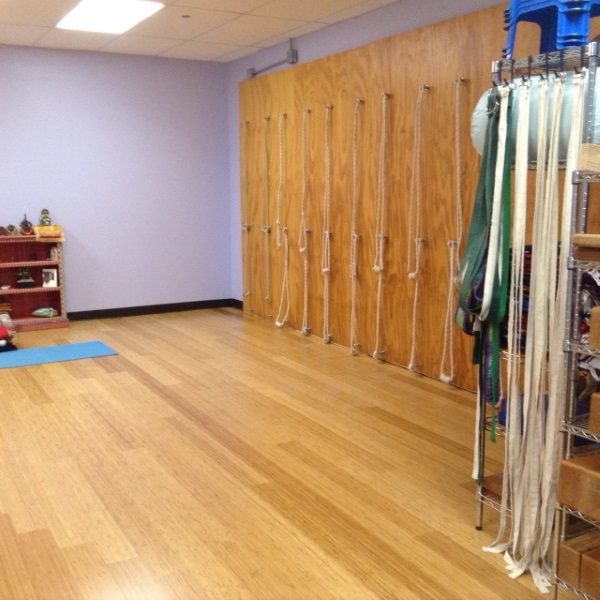 Wall ropes used in most classes at Yoga Mart. George will be doing a specific series of poses in February. Each class will build on the class before, much like a workshop. 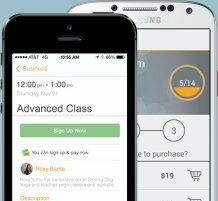 Although attending a single class is OK, attending all 4 classes will give the best understand of the course work. Level 3/Advanced- Refining the poses from Level II with the addition of headstand twist variations, challenging shoulder stand variations, and Padmasana variations. 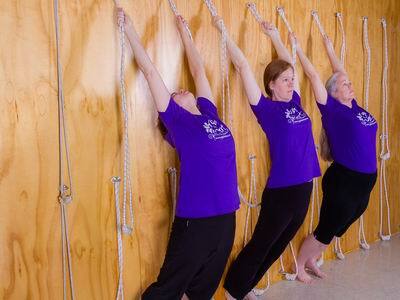 Wall ropes are used in most classes at Yoga Mart. 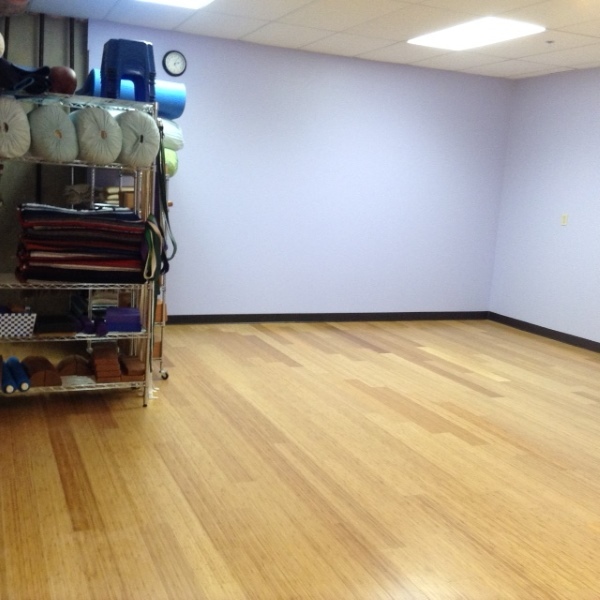 Restorative Yoga - This is a slower paced class utilizing props to support the body and create deep transformation. 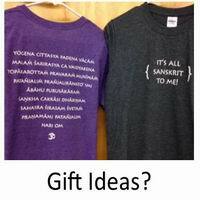 Each class will have a theme however everyone will get a great restorative experience. 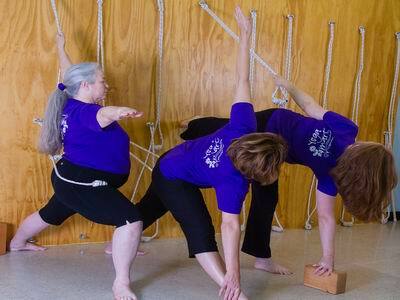 Women over 50 - This is a beginner friendly class, we start out active and transition to Restorative for the second half. 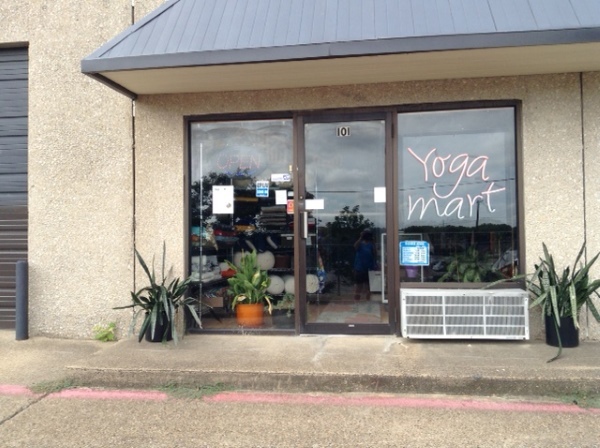 In case of inclement weather, when DISD cancels classes, Yoga Mart also cancels classes. 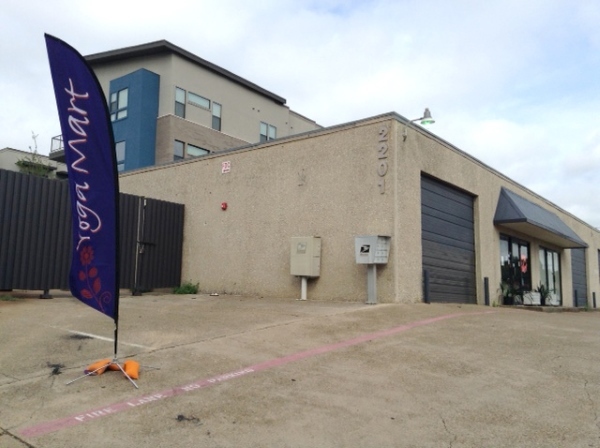 Classes held at Landry Fitness and YMCA are cancelled at the health club's discretion. Check on MindBody site to see the dates and sign up. Please enroll in advance. It really helps to plan the class if it is known in advance who is going to attend.